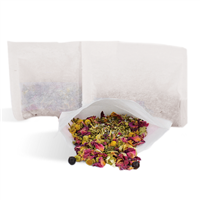 Bath Tea Kits have everything you need to make aromatic bath tea bags that will transform the normal bath experience! Create beautifully scented bath teas that your customers will love to relax with. Kits come with ingredients and instructions.